They have all driven for hours — sometimes days — to join hundreds of protesters at the Standing Rock Sioux Reservation. And they all need to eat. 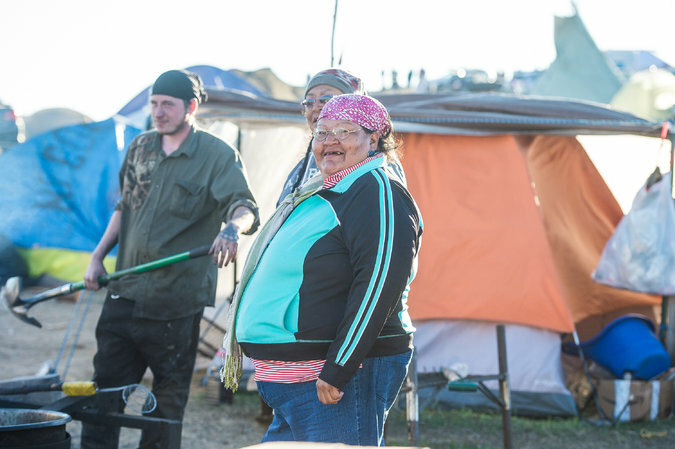 The camps have since broadened into a gathering of people focused on bringing attention to environmental issues and the rights of indigenous people. As the number of teepees and yurts built to withstand the brutal North Dakota winter has grown, so, too, have the camp kitchens. The roster of cooks can change daily, bringing the kind of cutthroat power plays any chef will tell you is inherent in many professional kitchens. Writing a daily menu is a challenge. 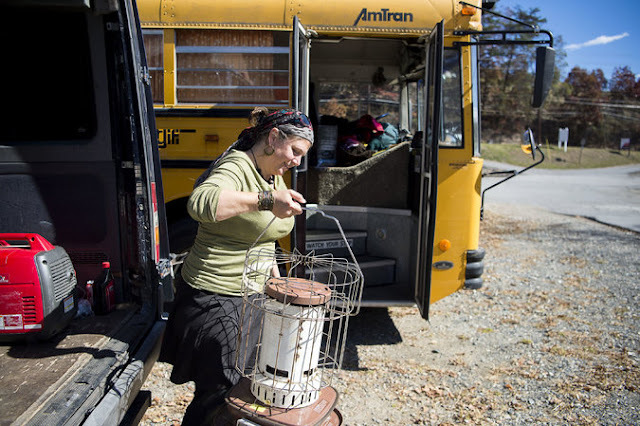 Supplies, supplemented by runs to Bismarck, about an hour’s drive away, are spread among pop-up and permanent tents, refrigerated trucks and wooden palettes on the ground. “Lakota Rules: Women and children first.” All that is asked is that you take a minute to wash dishes, sort food or find some other way to pay for your meal with labor. Savannah Jo Begay, 29, a Navajo from Pinon, Ariz., making her popular fry bread. 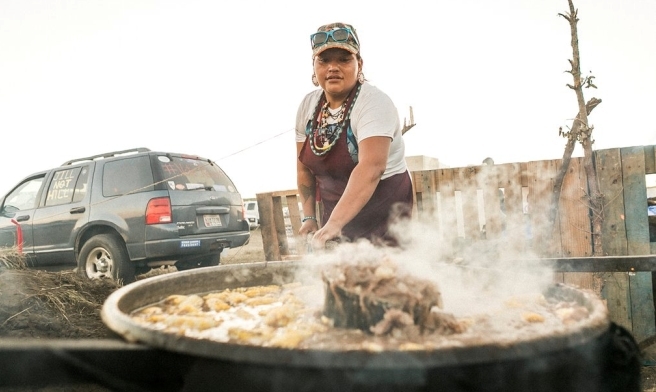 The main kitchen is at the Oceti Sakowin camp, the biggest of four camps within a short hike of one another. Winona Kasto watching over a kettle of beans at her camp kitchen. Savannah Jo Begay, 29, a Navajo from Pinon, Ariz., spends her evenings making fry bread from flour, water and lard. 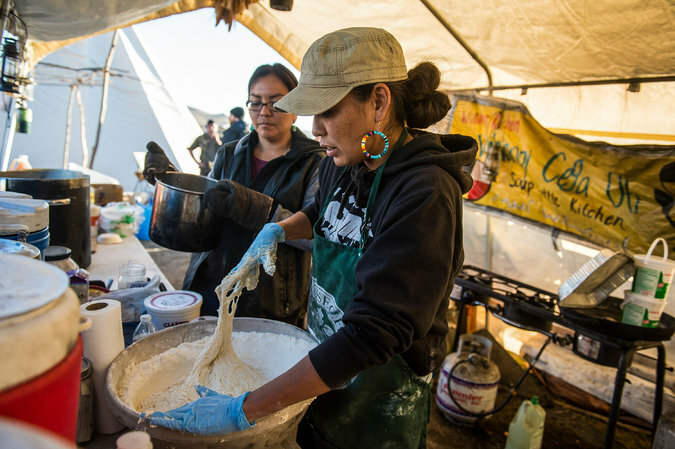 It’s the kind of food Mr. Yazzie battles against, but something a lot of people at the camps crave. 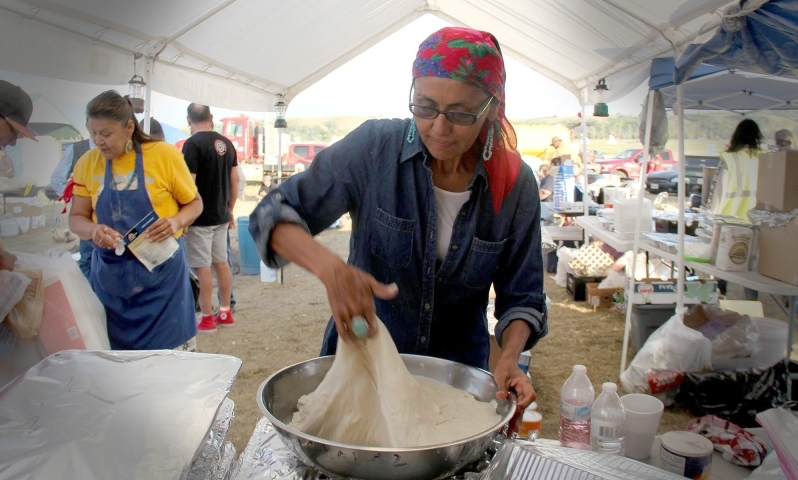 “You put some love into the fry bread and it makes it feel like home,” she said. The evening meal at Soup Kettle House, where Ms. Kasto cooks. 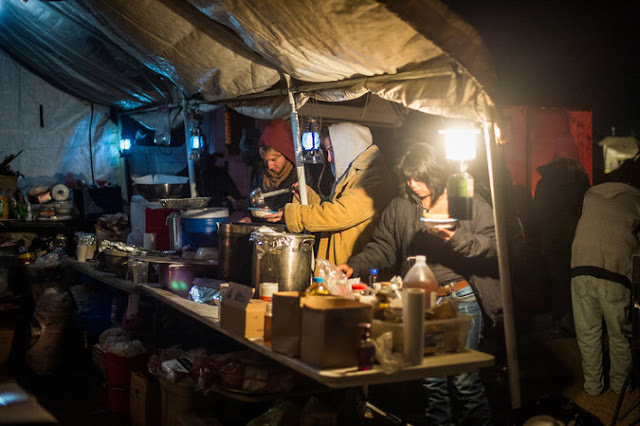 Responses to "Squash, Rice, Salmon and Frybread: Feeding the Water Protectors"